Yesterday was quite an exciting time for me, as I led a group of 20 other people on an 8-mile ramble around the hills of Bath. It was the first time I’d led the walking group and I have many positives to take from the whole experience. I’ll tell you about it another time because today, I’m going to reflect back one week to another brief outdoor adventure, with the day booked off work. The beach at Burnham-on-Sea in Somerset. 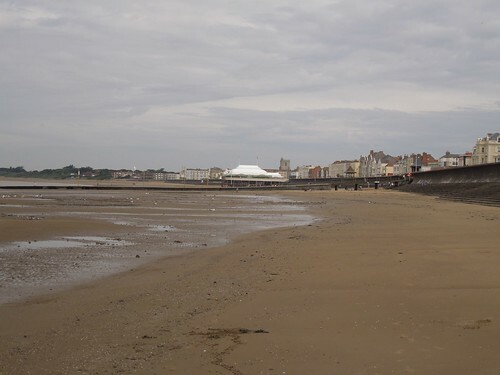 I took a 30-minute journey south to Burnham-on-Sea and it was mainly for sentimental reasons that are too personal to disclose on this blog. It was the first time I’d visited the seaside-town since a school trip two-decades ago and I’d been curious about revisiting the area for sometime. My return bought back a few memories and more positives to take from the day away from home. All of the photos here were taken with my Nikon S8200 camera but some have been ‘enhanced’ through the power of Instagram. Yesterday morning began with a three-hour meditation at the Buddhist Centre in Bristol and I also got to see one of my closest friends, who I don’t get to see very often. I won’t dwell on that experience too much because although it started well, I decided to alter my seating position for the final stage of meditation and I was anything but comfortable for those agonising minutes… All twenty of them! I usually kneel astride a stack of rectangular cushions but that sometimes leaves me with pain in my lower back but usually, only on my right side. Minor adjustments to raise the height of my seat and more haven’t quite sorted this, which is why I decided to try and sit cross-legged, with bolster cushions to rest my legs on either side. I took my friend’s advice and used a stack of cushions to raise my seating position so that my legs could rest but still, I was struggling and, well, I didn’t really get anything other than a sense of frustration before lunchtime came and we went out for a coffee (tea, actually). 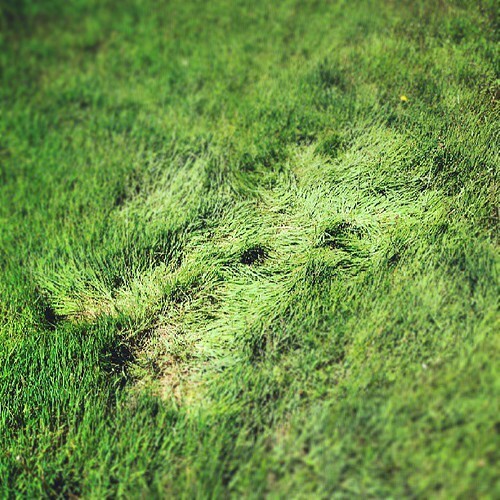 A ‘Grass Angel’ created by me; photo courtesy of my Instagram account. Meditation has become something that is quite significant within my life. It’s not something I practice as often as I feel I should and I find I am at my best when I’m at a centre with a dedicated time and space for meditation. But last Sunday, I created a bit of a ‘revelation’ for myself in being able to meditate high on top of one of the Mendip Hills. 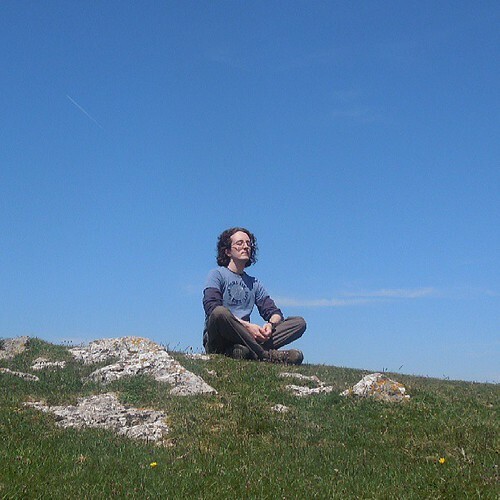 Meditating up on Crook Peak, Somerset. This post is supplemented with photographs courtesy of my Instagram account.